Millions of American men and women suffer from Fibromyalgia (FM). This medical condition can be very debilitating, causing physical discomfort, fatigue and widespread pain. Many of those with significant physical impairments experience severe depression secondary to dealing with their pain. Thus, it may come as no surprise that many of those who suffer from Fibromyalgia may find themselves no longer able to continue to work and find themselves needing to apply for Short Term or Long Term Disability benefits. If you are living with Fibromyalgia and are wondering whether you may qualify for Long Term Disability insurance benefits, there are some things you need to know. Fibromyalgia is most common in women between the ages of 25 and 60. While many men have been diagnosed with FM, females are as much as ten times more likely to develop Fibromyalgia than men. By some estimates, as much as two percent of the U.S. population currently suffers from Fibromyalgia. The primary complication from Fibromyalgia is the extreme pain that the condition produces. People suffering from FM often experience pain in their joints and muscles throughout the body, causing joint pain and muscle spasms. Certain parts of the body may be painful to touch, and it is common for redness and swelling to appear. The most common areas of pain are the neck, shoulders, hips and back. To complicate things even further, those who have Fibromyalgia tend to have a lower pain tolerance than most due to the condition itself. This can in turn intensify the symptoms and may have a significant impact on the patient’s quality of life. In some cases, dealing with Fibromyalgia may cause mental problems such as depression, anxiety and fatigue in addition to the physical symptoms. If you are suffering from Fibromyalgia and wish to file a Long Term Disability claim, there are some things you need to know. First and foremost, as you know, Fibromyalgia is difficult to prove with medical testing. There are no “objective” imaging or laboratory tests (such as an X-Ray, CT-Scan or MRI) that can confirm or exclude the condition. Your doctor will evaluate your “subjective” complaints and will need to rely on your medical history, exclusionary testing and a comprehensive physical exam in order to diagnose Fibromyalgia. For most medical doctors, in order to give a diagnosis of Fibromyalgia you must have been experiencing the symptoms of the condition for at least three months. The most common method of diagnosing FM is the “pressure point” test. That is where you have a certain number of points on your body that are sensitive to touch when pressure is applied. Tests may also be run to rule out other conditions that may be causing the symptoms. 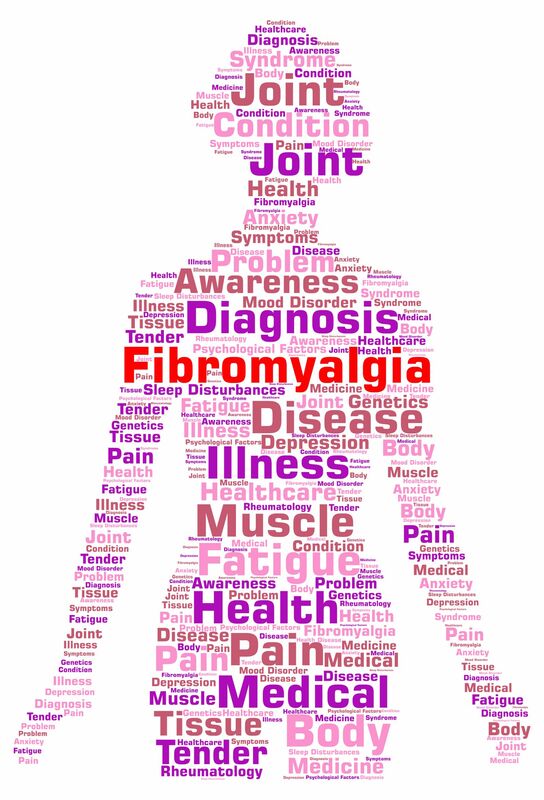 Many patients undergo many tests and visit many doctors before getting a firm Fibromyalgia diagnosis. Disabilities, due to sickness or injury, which are primarily based on self-reported symptoms, and disabilities due to mental illness, alcoholism or drug abuse have a limited pay period up to 24 months. Self-reported symptoms means the manifestations of your condition which you tell your doctor that are not verifiable using tests, procedures or clinical examinations standardly accepted in the practice of medicine. Examples of self-reported symptoms include, but are not limited to headaches, pain, fatigue, stiffness, soreness, ringing in ears, dizziness, numbness and loss of energy. The key language of the plan limits payment for “[d]isabilities, due to sickness or injury, which are primarily based on self-reported symptoms.” The issue is whether the limitation on function is primarily based on self-reported symptoms, or that the diagnosis of the disease itself is primarily based on self-reported symptoms. Insurance companies are that such clauses should be read literally so that the plural self-reported symptoms clause modifies the plural “Disabilities” rather than the singular “illness or injury,” suggesting that if the inability to perform work is self-reported, the limitation applies. However, when the clause is considered in context and in light of actual application, the only viable conclusion is that the self-reported symptoms limitation applies to disabling illnesses or injuries that are diagnosed primarily based on self-reported symptoms rather than to all illnesses or injuries for which the disabling symptoms are self-reported. The contrary interpretation advanced by insurance companies would sweep within the limitation virtually all diseases, leaving only a small subset for coverage beyond the reduced time period. For most illnesses or injuries, the disabling aspect is not the disease itself, but the pain, weakness, or fatigue caused by that illness or injury. Even diseases that are extremely likely to cause an inability to work, such as stage IV cancer or advanced heart disease, are disabling because of the pain, weakness or fatigue. Under an insurance company’s interpretation, however, those diseases would fall within the twenty-four-month limitation because pain, weakness and fatigue are self-reported symptoms that are difficult if not impossible to verify using objective medical evidence. In short, it is very common for an initial Long Term Disability claim to be denied when the application is based on a Fibromyalgia diagnosis. That does not, however, mean that you will be unable to successfully appeal the denial of your claim. Many claimants who have been denied at the initial application stage based on a diagnosis of Fibromyalgia go on to appeal the decision and win benefits. If your Long Term Disability claim is based on Fibromyalgia along with another medical diagnosis, it will be easier to have your claim approved than it would be if you are filing a claim based on Fibromyalgia alone. How your condition was diagnosed will also play a role in the success of your Long Term Disability claim. If you have had your condition diagnosed by a family doctor or primary care physician, it will not carry as much weight as a diagnosis that has been made by a Rheumatologist or Orthopedist. If you have not yet seen a specialist to verify your Fibromyalgia diagnosis, you may want to do so before filing a claim for Long Term Disability benefits. If your initial claim is denied, you should not give up on receiving Long Term Disability benefits for your Fibromyalgia condition. What you need to do is appeal the decision within the time limits set out in your LTD policy. You should also consider hiring an experienced Long Term Disability attorney to represent you during the appeal process. Mr. Ortiz is experienced in handling such claims. Call 850-308-1818 for a free case evaluation.